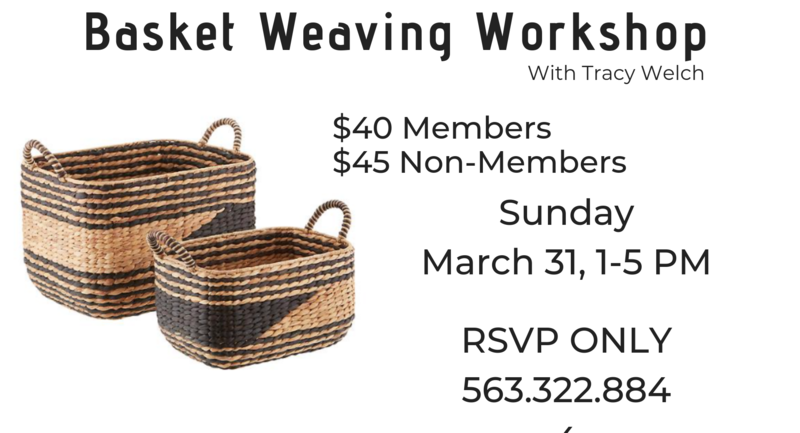 Tracy Welch returns to the GAHC for another basket weaving workshop! Each student will weave an 8×11 rectangular basket featuring a solid woven base, woven sides, round and dyed reeds, and handles on each side. All materials and tool will be supplied. This class is good for beginners and veterans alike! This workshop will occur Sunday, March 31st from 1-5PM.